THE BEADY EYE ASKS: WILL IRELAND END UP AS THE SACRIFICIAL LAMB OF BREXIT..
Brexit v EU - Negotiations. the country can live with the likely post Brexit arrangements and so stay a full member of the European Union; or whether a radically different relationship with the EU is required, including the possibility of an Irish departure from formal membership, an Irexit. Whatever the outcome of the Brexit negotiations, there will be a price to pay. For Ireland, there is really no upside to Brexit. stand in solidarity with the remaining 26 EU countries? trade area, while negotiating as favourable as possible trade and investment terms with the remaining 26 member states. Access to the Single Market need not be synonymous with full membership of the EU. In addition, the EU itself is facing huge problems and the future direction of that body is hard to predict and though uncertain, it is unlikely to be to Ireland’s taste or in its interests. Brexit is going to happen. If there is a hard border after Brexit, Ireland be next to exit? The new pivotal position of the DUP at Westminster has only added to this concerns. The Good Friday Agreement is all but dead in the water. One of the major attractions of the Agreement to the Nationalist/Republican side was the promise, given in exchanges by the two governments, that once the peace was secured and the threat level diminished, there would be no need for any fixed and/or permanent installations along the border. Sitting on the side lines and allowing the EU to negotiate for Ireland is essentially untenable. The first duty of the EU negotiators is to act on behalf of the European Union as an Institution. This is prioritised in their Guidelines, approved by the European Council. The type of deal that Ireland’s interests requires, however, including free trade with the UK, is directly in contradiction with the Union negotiators mandate that anything relating to Ireland and her border which emerges from the Brexit negotiations, must “maintain the integrity the Union’s Legal Order”, i.e., no exceptions to the customs union. time for Ireland to choose its future path, that choice which will have profound consequences for all those living on the island of Ireland. With the DUP pressing for a “significant” central role in the Brexit negotiations. There is also a danger that any unfavorable Brexit agreement that the current Irish Government is handed by the EU at the end of the negotiations, will not get through the Dáil (Irish Parliament). Hopefully, the outcome of Brexit negotiations will be benign. However, if this does not turn out to be the case, it would be a brave Government in Dublin who would ask the electorate to re-instate a border in Ireland and erect barriers with our nearest neighbor Britain where most Irish people have family links. The prospects of an Irish Irexit have certainly grown in recent days. The country undoubtedly has a strong case for special treatment. The main difficulty for this scenario is that what Ireland requires, namely free movement of people, goods and services with the post Brexit UK, cannot be fitted into the present EU framework. It would require a very fundamental departure from EU structures and one which frankly the EU is not likely to sanction. It would break the central tenets of EU theology. The EU is therefore is risking losing Britain and Ireland rather than concede on a core tenet. The chances of obtaining a satisfactory outcome to the present Brexit negotiations for Ireland are faint. It simply is not possible to reconcile the requirements of the country, with the EU’S need to maintain the integrity of the Union’s Legal Order. Also, there is little or no popular support for the further erosion of the Nation State, something that is now becoming more likely with the UK’s departure. Therefore, given the circumstances, Irexit has to be the option for Ireland in a hard Brexit situation. In any negotiation, there must be a bottom line and if breached, the option of walking away must always be there. Irexit is a definite option for Ireland, should the EU and the EU not arrive at a satisfactory deal. It will be the ordinary citizens who will pay the price of the failure of its political leaders to put their welfare and that of the country first. Ireland and its people have shown a great capacity to adopt to new conditions and overcome adversity. However, as in the Bailout situation, it has often been the young people of Ireland who have borne the brunt of those adaptations. Hopefully, the Irish Government will not sacrifice the well-being of its youth in order yet again to prove, its EU credentials. terms of its impact on the world and a force for good, don’t assume that the European Union can be run by two or three big countries and everybody else will just have to tow the line. Indeed the EU if it is to do anything it should block the Pension of the biggest hypocrite Mr Nigel Farage. Ireland will not be leaving. The UK will get the kind of deal it needs (kind of ‘it’s Brexit, stupid’). Ireland invested enough will to be a noticeable player in order to attract international investment and hopes to be able to seduce enough City of London Sevices to cross the border. The hard border between the Irish Republic and Northern Ireland will not happen because the U.K. will use the issue as a potential bargaining chip. 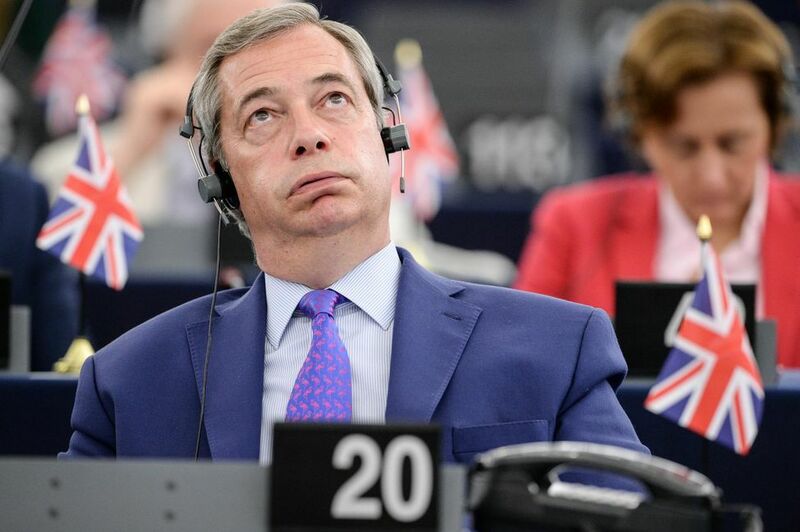 And yes, Farage was and is an opportunistic who sees nothing wrong with accepting personal benefits from the same body that he claims to despise?…. 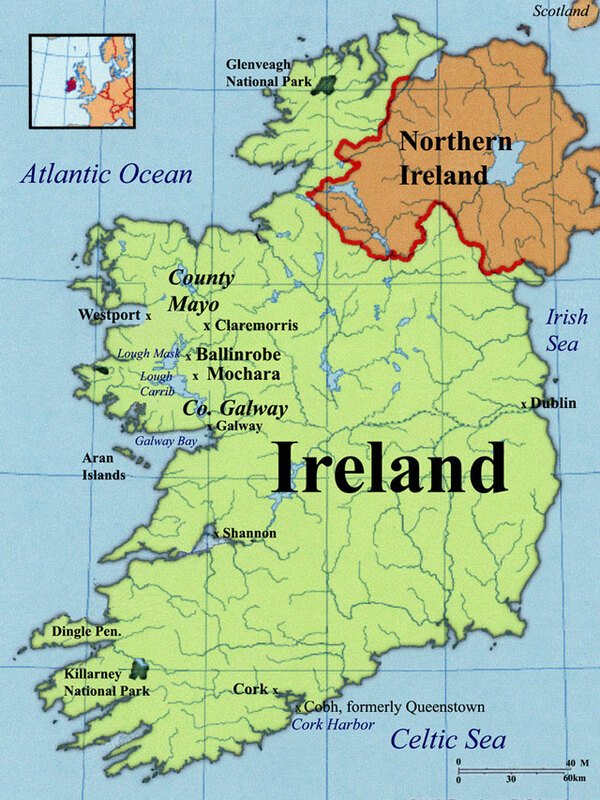 I am afraid unless Northern Ireland unites with Ireland there is no choice for the European union but to put in place a hard border, just like all the other borders it has. I am at a loss to follow your logic. Assuming that the UK does not get the right deal from the EU, Ireland would most definitely be at a great loss in trade with the UK. However’ the UK will be at a significantly greater loss in trade with the UK under the same circumstances, therefore leaving ROI & UK with a double jeopardy situation. If the UK were to gain an agreeable arrangement with the EU (best possible outcome); both the ROI & UK would carry on with mutual economic beneifit? Additionally, your proposition does not address the cultural pressure the ROI would be under in the event of Irexit to secumb to much greater British political influence. As this issue is of much greater importance to the Irish than the British, it would be in Ireland’s best cultural interest to remain in the EU. As you point out the Irish have historically gained much more economically and culturally by being part of the EU than they ever did by their less than acceptable historical and political association with he UK. As difficult as a hard Brexit may be for the ROI, it harder to consider why an Irexit ROI would place such a huge degree of economic trust ever again with any UK government (of any stripe). Trust is a one time gift. The British have demonstrated time and again they have forfeited the trust. Again, and respectfully, If your argument only considers an Irexit from an economic perspective, you have list the argument. I fear that you historical understanding of the Border between Ireland and Northern Ireland needs some research. Ireland has down through its sad history with England never succumb to much greater British political influence. The Economic scenario’s are self evident. If there is no unification hard border will require British Military protection something no one on either side desire.